Continuum, Microsoft’s solution to the two-in-one PC problem, is one of the big additions in Build 9926. 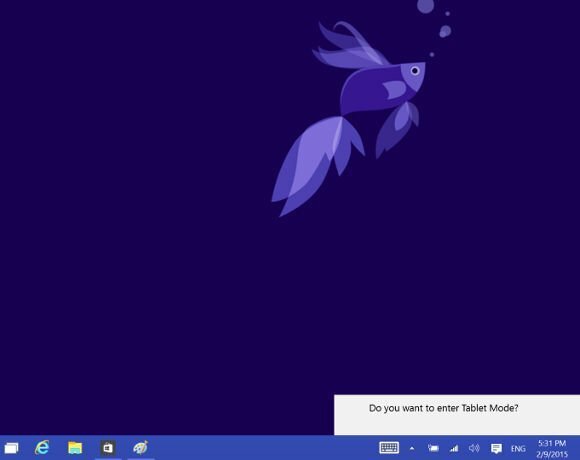 While the current build of Windows 10 is more tablet-friendly than the previous release, there are still niggling issues. After installing the release on a Dell Venue 8 Pro 8” tablet, for example, we found that apps we pinned to the full-screen Start menu would only show up once we’d switch from tablet mode to desktop mode and back again. It’s little niggles like this that show that Windows 10 is still very much pre-beta code, and while we miss many of the Windows 8.1 swipe gestures, we’ve begun to find alternative ways of working.